In an effort to highlight places of interest in countries across the world, their varied culture, economy and history, The Statesman brings to you a Weekly Focus on countries with which India shares diplomatic ties and friendship. 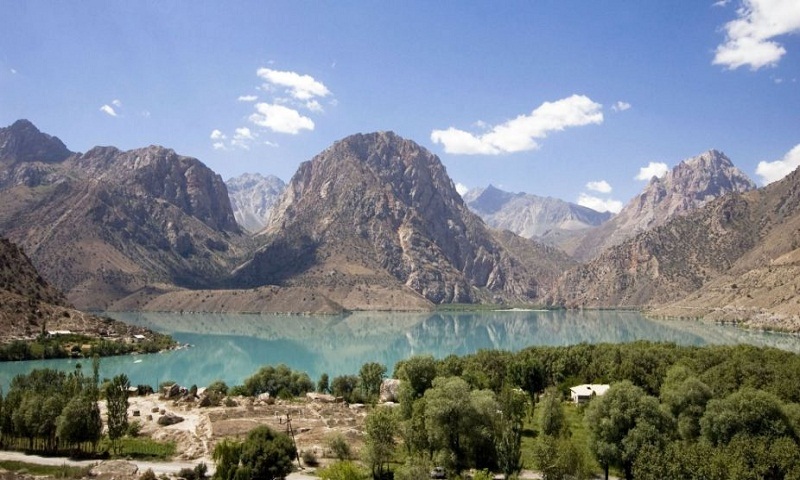 This week’s focus is on Tajikistan. Know all about the country. In Dushanbe, temperatures vary between a minimum -13°C in December/January to a maximum 33°C in July/August. Humidity is generally low. In the mountains, it can reach -45°C when the wind chill factor is taken into consideration, and rise to 20°C in summer. In the Pamir Mountains, the climate is semi-arid to polar. In 1999, the government created Consolidation Day (17 June) to celebrate the Saminid era, in an attempt to unify the people and promote the idea of the state. Other festivals and holidays celebrated are New Year’s Day, International Women’s Day, Navruz (a Zoroastrian feast is the traditional New Year’s celebration), International Labour Day, Victory Day (10 May celebrates the triumph of the allied forces in World War II), Independence Day and Constitution Day. Over the last few years, dining options have improved substantially in the cities and it is now possible to find most culinary forms somewhere in Dushanbe. However, the quality is variable and once out into the countryside options rapidly shrink to Central Asian staples. Some of the specialities include Plov, Lagman, Mante, Beshbarmak and Non (Flat bread served with every meal. Custom dictates that diners should never turn their bread upside down or throw their bread away). Apricot jam and dried apricots appear on most Tajik tables. Regional drinks are Zeliony (black tea) and chorny chai(Green tea). Pamir Highway: This is a road that traverses through the majestic Pamir Mountains and goes through Uzbekistan, Afghanistan, Kyrgyzstan, and Tajikistan. This is an important continuous route that exists in the difficult terrains of mountains and serves as the major supply route to the autonomous regions in Tajikistan. Travellers on this highway enjoy viewing the Lake Karakol, which is usually frozen for a large part of the year. Dushanbe: Dushanbe is the largest city as well as the cultural, political and economic heart of the country. Its centre contains one of the world’s tallest flagpoles. In the surrounding streets, there’s plenty of modern and Soviet architecture to admire as well as myriad museums, statues and historical sites reflecting the strong Persian influences in the city’s past. It’s a green city, with many alleyways to duck into, but for many, the fun is to be had shopping in Dushanbe’s Oriental bazaars. Penjikent ~ Ancient ruins: Modern Penjikent is a quiet small city famous for being the home of the most delicious national dish in the country, plov. However, the reason to visit Penjikent is not only plov, but also the ruins of ancient civilizations. UNESCO World Heritage site Sarezm was a city dating back to 3000 years BC. Another astonishing site is that of the ancient Penjikent ruins, in its heyday a city of rich Sogdian traders on the Silk Road. Zeravshan: Located in the Kyzylkum desert, it receives water from the Amudarya by a 220-km pipeline. The area is famous for its unique mountain landscapes and its beautiful lakes: the Alauddin lakes, the Kulikalon lakes, Iskanderkul Lake and the seven lakes of Shing among many others. Other attractions include Fann Mountains, Istaravshan, Yurt Stays, Isfara(famous for its apricot orchards), Wakhan Valley, Murghab (Highest City in Central Asia) and Yagnob Valley.